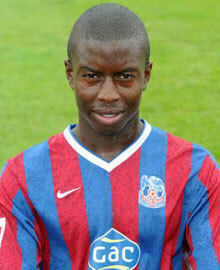 Crystal Palace youngster Kieron Cadogan impressed for Burton Albion after joining on loan at the weekend. Cadogan, 19, signed for the League Two side on a month's loan prior to their match at home to Hereford United on Saturday. And the winger impressed Albion manager Paul Peschisolido with Cadogan winning a free-kick that led to the winning goal in the 3-2 victory. Peschisolido said: "I thought Kieron was superb. He has got some nifty little touches and he has only trained with the lads twice so I was pleased with his overall performance. "He made some great little runs and as we get to know him and he gets to know us then I think we will get more from him." Other Palace players out on loan include Lee Hills and Darryl Flahavan at Oldham Athletic plus Kieran Djilali at Chesterfield.